The Choice Chiropractic Team. From left to right: Kerri, Dr. Patience, and Dr. Ryan. We have a passion for chiropractic and love what we do. We are dedicated to focus on individual care, 1 spine @ a time. 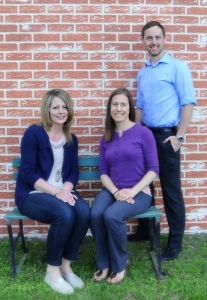 To share our passion for chiropractic through serving you and your family in our community. Our team is here to inspire and educate you on chiropractic so you can choose what is best for your own well-being. Our goal is to focus on you, the individual, by improving the function of your body so you can carry out your life’s mission and purpose in abundance. Together, we are here to offer service with the highest ethics, integrity, and professional standards – never ceasing to improve our care at every level.